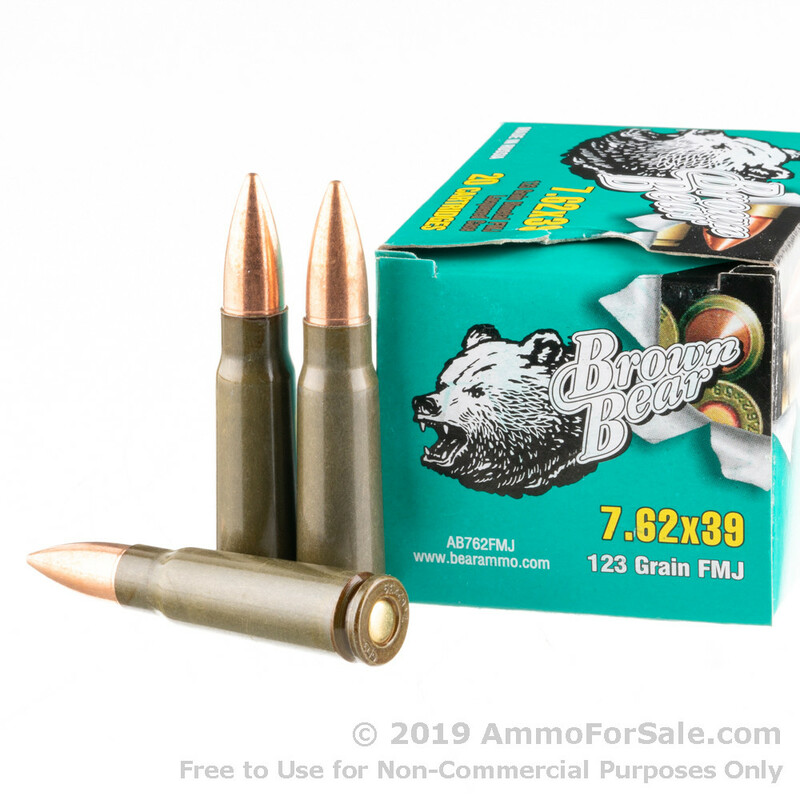 In Russia, the leader in the firearms and ammunition industry is the Barnaul Machine Tool Plant, and this ammunition is manufactured by one of the subsidiaries, Brown Bear. The plant has been in business since 1869, when Emperor Aleksander I ordered an ammunition plant be started in St. Petersburg. They got their start supplying the Russian Army and now they distribute their ammunition to the United States, Europe, and Asia. 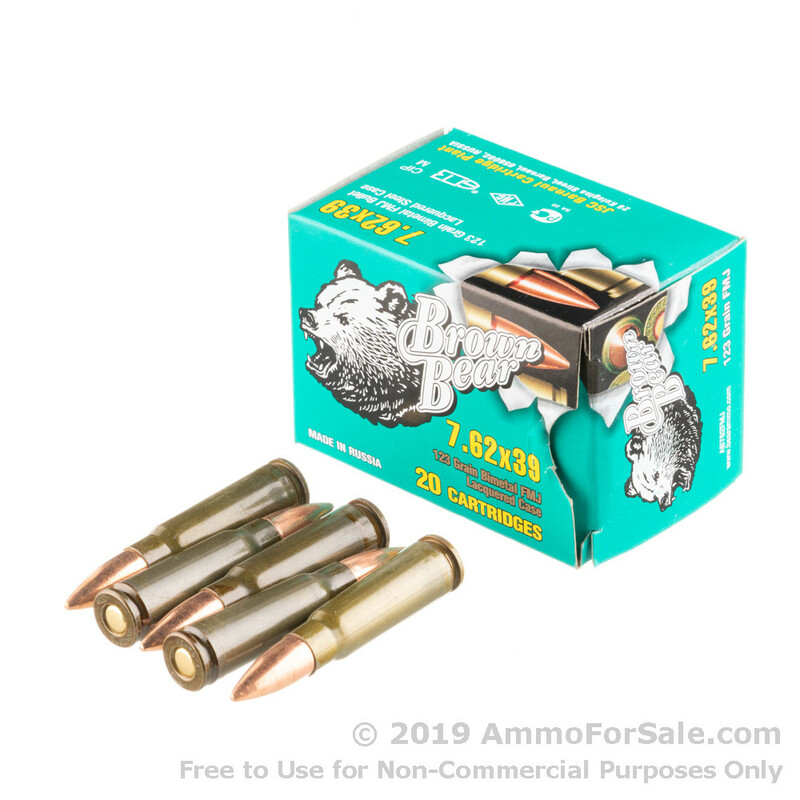 Brown Bear and Barnaul are known for using the latest technology and being dedicated to stringent standards; all of their ammunition is produced to SAAMI or CIP standards. 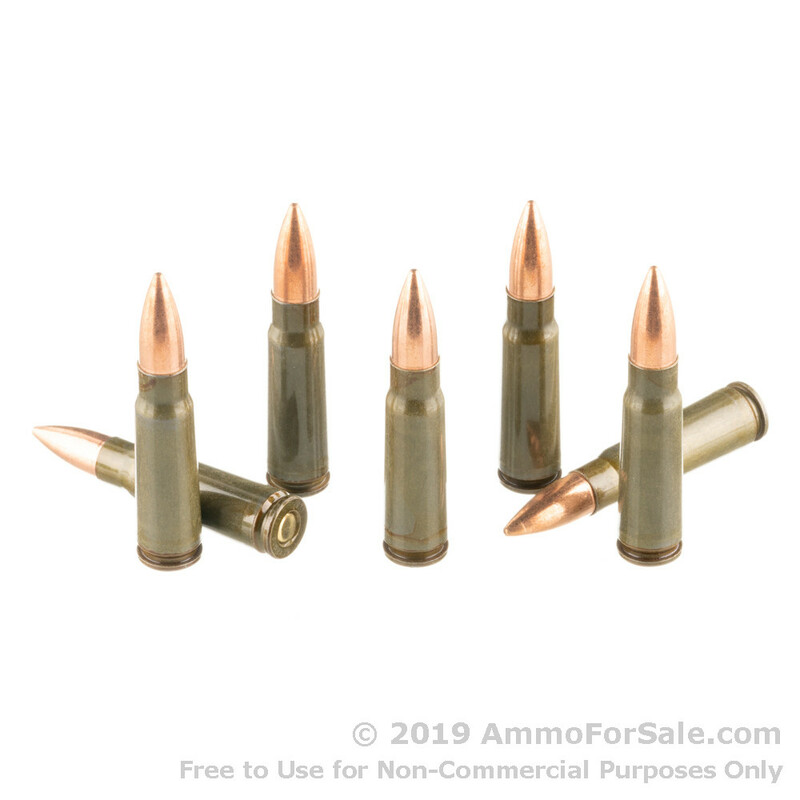 At 123 grain these are medium-weight rounds, and as FMJ rounds they’re ideal for target practice, tactical training, and plinking. Brown Bear uses a special technique to create these bi-metal cases: they alternate incredibly thin layers of steel and copper until they have a good-quality, affordable steel case. Then they use berdan primers to extend shelf-life and ensure ignition and apply a unique polymer coating for reliable feeding and ejection. These rounds have fantastic muzzle velocity at 2,430 feet per second. There are 20 steel-cased rifle rounds in this box of ammunition. At these prices, you should be buying more than one box; after all, you wouldn’t want your rifle to feel neglected. The AK-47 and SKS are the most common 7.62x39mm-chambered rifles, and both were created in the Soviet Union; it only makes sense to feed your Russian rifle Russian ammunition. Order now to give your rifle a taste of the motherland. Hello Andy, These 123gr. FMJ rounds by Brown Bear in 7.62x39 are non-corrosive. You can fire them without having to worry about corrosive primers.